First Review for What's in a Name? I was Googling and found my first review for What's in a Name? A nice surprise. WHAT?S IN A NAME? 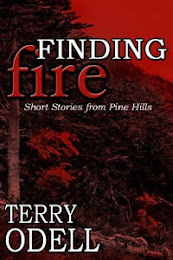 by Terry Odell is a suspense-filled tale that unites strangers, uncovers deceptions and shows that love, regardless of the names of its participants, knows no bounds. 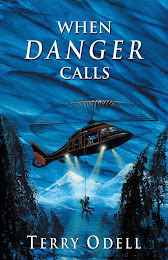 I enjoyed every word, and if romance with a hearty helping of suspense appeals to you, you'll love it, too. Still dealing with that pesky back muscle. Our next speaker was with the Fleet/Facilities Management. I, for one, was very impressed with the way he makes sure the county gets the most bang for its buck in everything they purchase. The Sheriff's Office has 1897 vehicles, and they rotate them out by auctioning them off and using the funds to help buy new ones. They have to be 'certified' police cars, so they can't go to any manufacturer. Before they decide on what kind of car to buy, they meet with the engineers, they check with the Michigan State Police Report that tests all vehicles, and they'll take a car, have drivers test it for 3 days in the local SO driving school, then bring it to the shop for a complete evaluation. If it passes, it'll go out for bid. Right now, they're buying Chevy Impalas. The classic Crown Vics were going up in price and down in resale value. Interesting to learn was that although they have a complete auto shop, the S.O. sends the cars out to Jiffy Lube for every other oil change -- it's cheaper. But in between, they have their own mechanics do a complete check. And all I did when I wanted a new car was read the Consumer Report evaluation and go on line to find a price and dealer! We also found out what happens when a deputy is in a crash. In addition to the requisite paperwork, they go before a 20 person review board to find out if they should be charged. On the basis of trends, the S.O. may also change its training. For example, they were getting a lot of crashes in intersections where cruisers were running with lights and sirens. However, the public wasn't stopping. So, now cruisers have to stop at intersections. In addition to all the vehicles, the department is also responsible for every piece of equipment a deputy drives, shoots, wears, flies, or rides on. They have to determine what to buy. Anything over $750 must go out for bids. Annual inventories (almost 20,000 pieces) must be done visually. They're working on a bar code system that will computerize the process. If an officer loses something, there's another review board process. A tidbit I gleaned for my writing is that the building areas are secured via electronic locks, which are opened via a "proximity card" each deputy carries. No keys. The plan is to get these chips imbeded into their ID cards and to have the computer system able to update who's allowed to go where, without having to physically update the card. I can see some interesting plot developments brewing. I think our department is doing a great job with our tax dollars. We started with a report from the head of the SID - Special Investigations, which handles about 98% of the undercover operations. It's divided into 2 groups. One's main focus is narcotics, and the other is the fugitive squad, which deals with the likes of 60,000 active warrants. They don't have a specifically designated Vice squad -- everyone works vice, and it's linked closely with the drug trade. As with everything else, manpower is limited. This department does a lot of cooperative task force work; they consider task forces the most efficient way to get things done. The next speaker was an undercover narcotics deputy, and he was, like everyone else, enthusiastic about his job. One major job quality--being able to talk your way out of anything. He also reported that violent crimes are almost always linked in some way to narcotics. Our fair county has the dubious distinction of having, overall, a much higher quality of drugs. When they get here, they haven't been cut as much and there are a lot of overdoses. Aren't we special. We're also a great place for money laundering. And we learned that about 70% of all drugs coming from South America are consumed in the U.S. Oh, yes -- Orlando was also one of the first cities where Ecstasy hit the scene. He went through all the categories of drugs, with examples, pictures (powerpoint, though -- no 8x10 color glossies with circles and arrows and a paragraph on the back of each one), as well as the amount needed to charge the suspect with trafficking. Intersetingly enough, there are times when the amount is higher at the state level than the federal, and in those cases, they're delighted to have the cases handled by the feds, which has much stricter penalties. Just like with everything else, catching the bad guys is not the same as getting them off the streets. More later -- can't sit at the computer too long or my back stiffens up. The session, "Knives, Guns & Other Fun Things" wasn't what I expected. Instead of seeing (and maybe playing with) weapons, our speaker told us about identifying weapons used in crimes. Basically, they look at two kinds of toolmarks: striated, when a tool moves across an object, and impressed, when it leaves an impression. "Tools" aren't just hammers and screwdrivers, but this is the term they use for everything used in committing the crime, from guns to baseball bats. Assault rifles: these are "select fire" weapons, which means they can be switched from semi-automatic to automatic. Machine guns fire 30, 50 or larger caliber ammunition, and it's belt fed, and these are BIG weapons, needing some kind of tripod-like support. Submachine guns shoot pistol ammunition. He divides handguns into pistols and revolvers, although I've seen dictionary definitions that say any handgun is a pistol. As a writer, the challenge becomes keeping the terminology accurate while maintaining what the reader understands. Ultimately, as the other experts said, all identification is done by eye. He uses a comparison microscope. Computers don't do the final matching, people do. And while there are extensive databases, most of the time he'll use the local one because most of the matches come from there. People commit crimes close to home. However, there are state and national databases, and every now and then you'll find a gun used in a crime here that doesn't show in the local database, but can be tied to a crime committed in another state. ... and still not caught up. I might have to start doing quick bits and pieces posts. Excuse the ramblings. Lots of mystery authors at all levels. Luncheon speakers were Rene Balcer of Law & Order fame, and Linda Fairstein. But each day was filled with panels made up of a variety of authors and other experts. I started with the "Scene of the Crime" track, and the first speaker was the Deputy Chief ME of Miami-Dade. She explained how to 'read' a body to determine when and where it might have died. She showed us what her job is (and how it's NOT CSI Miami). There were some who didn't take well to her graphic visual presentation, but having spent 38 years with a biologist, the bloated and maggot-covered corpses didn't bother me much. Her job is to determine manner and cause of death, and much of the time, she determines this by autopsy. She will go to the scene of the crime if she needs to, but most of her time is spent in the lab. She filled us with interesting tidbits -- like maggot holes can look like bullet holes. She showed us pictures and had us try to determine how someone died. Manner and Cause of Death are not the same. There are only 5 manners of death: Natural, Suicide, Accidental, Homicide, and Undetermined. Causes of death are not always cut and dried. The next speaker was a 'real' Miami Criminalist who debunked a lot of the CSI Miami myths. We learned a lot about DNA and how they find suspects. Everything is based on comparing (and matching) an unknown sample (gathered at the scene) to a standard (where the origins are known). No fancy computers spitting out pictures of "the perp" The fastest anyone can get a DNA test done, which means the techs work round the clock and don't do anything else, is 2 days. She showed us the 'real time' for all the steps in the process. And the bottom line is that it's the interpretation of the piece of paper the last machine spits out that makes the determination, and it's always done by a human, and in fact, by two humans working independently. If they don't agree, they take the conservative interpretation. She said that about 40% of the technology used on the TV show doesn't exist, or doesn't exist the way we see it. (none of those pretty computer shots of the suspect). The tests are expensive, and the backlog is immense. At this time, only 44 states require DNA samples from felons. Have to go now. More bits and pieces as I find time. One of the things I did was meet with an agent and an editor, who requested some of my work, so I have to get that ready to go! SleuthFest was great! Being gone 4 days means things have piled up. I wish time would stop in the 'real world' when I travel. But it doesn't. 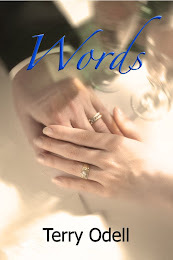 Today, I'm a guest blogger at Romance Reader at Heart. I'm afraid SleuthFest posts will have to wait another day, but I'll be reporting on the conference, I promise. Meanwhile, pop over to the RRAH blog instead. I'm doing a couple of giveaways over there. What I'm reading: Take Me Tonight by Roxanne St. Claire, part of her Bullet Catcher series. I had my first booksigning, which was great fun. The staff at Barnes & Noble was great, and I felt just like a "real" author. I have a few books left over -- email me if you want an autographed copy of Rose Petals. Last night, we got to see the new org chart for the Sheriff's Office. They've streamlined departments based on recommendations from an outside consulting firm, but the SO was pleased to know that the study showed what they already knew: they're lean, lean, lean, and there's not much to cut in the way of personnel. It's mostly how they line up on the chart and who they report to. We also had a short talk by the Media representative. I've had some experience, second-hand, but I have to agree that while his assignment, to increase honest communication between all media and the Sheriff's Office has vastly improved things over the past 10 years, I still believe that for the most part, the media's philosophy is, "Never let the truth get in the way of a good story." They all -- radio, print and television -- report to the almighty dollar, and what they choose to report and the way they choose to report it colors our perception of what's happening in the world. Rather than go into all the individual programs or all the acronyms they hit us with last week, I'll simply stress the point they drove home. An ounce of prevention is what they're all about. If they can turn even one child from crime, teach him/her how to make good choices, then they've saved heartbreak for so many others. Crimes have victims, victims have families, as do the criminals. Our final speaker, the Great One (his call sign comes from the fact that his program is "G.R.E.A.T" and he's the supervisor, so he's "1" according to the SO's system) said when he worked narcotics he made over 1000 arrests. But he never 'turned' anyone. Working with the kids, he has the chance to stop something before it snowballs. These deputies work our overcrowded schools, getting to know the kids, developing trust. As they say, when the kids trust them, they're willing to come up and tell the deputy that Jimmy has crack in his backpack. The scary thing was the statistics he showed for felonies even at the elementary school level. Coming in the wake of Blacksburg, these school officers have quite the responsibility. Like all law enforcement officers, they run TOWARD gunshots. And a quick segue back to the media. A news crew showed up at a Friday Night Basketball event, something run by the Police Athletic League, saying they wanted to show a positive story about what the police were doing for the youth in the community. Only trouble is, when it aired, the slant was "what a waste of deputies, out here playing basketball with the kids instead of being out on the streets catching bad guys." I don't begrudge them one single deputy. The number of deputies working the schools looks large on an org chart, but there are only 1 or 2 deputies at any given school, and the population of some of these schools is as much as a town. How much better to keep future bad guys from ever existing. We ended with a video -- not of a 'success story' but of someone for whom the GREAT program didn't work. By 17, he was in a gang, involved in drugs and home invasions. He's serving two consecutive life sentences plus 15 years for murder. But maybe the kids who see the video will understand a little more about what it means to make that kind of choices. That's it for last night's class. Tomorrow I'm off to Miami for SleuthFest -- I'll have a report when I get back next week. Cover arrived, approved and finalized, for What's in a Name? For whatever reasons, my upcoming release, "What's in a Name?" which is supposed to come out on April 19th, does not yet have a cover. So, how about a pool? Guess what day and time I'll get the FIRST email with my draft cover. Then, for another shot at winning, guess what day and time I'll get the FINAL approved version. Prize? How about an autographed cover? Can't tell you what it will look like yet! Email me your guesses. Put Cover Pool in the subject line. All I can say is that the publisher promises the cover will appear BEFORE my release day. Details on my website. Might as well make some lemonade, right? Ready, set, go. Pool is open. Jump in. What I'm reading: Blind Justice by Kelsy George; contest entries. What I'm writing: Chapter 31, scene two! 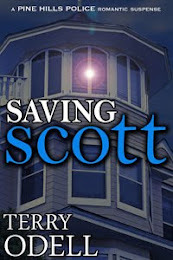 I was particularly interested in hearing the section on Motors, as the protagonist in my third release, Starting Over (coming out in August, 2007) is a Orange County Deputy Sheriff who wants to move from Traffic to CID. I'll have to go back and check my manuscript -- I didn't think to ask if the Motors uniforms were any different from the others. They are: they have a yellow stripe down the side of their pants. Things I learned: traffic stops, etc., are secondary to all deputies EXCEPT Motors; that's their primary assignment. However, they are responsible for more narcotics arrests than the narcotics unit. That's because they have such a high volume of encounters. They will have times when they saturate an area, pulling all the Motors deputies to work one area, and others when they will funnel all traffic into one lane at a specific intersection, and simply stand on the median, approaching vehicles stopped for red lights. And people tend to be stupid, doing things like leaving drugs in plain sight in their cars. As our speaker said, "sometimes, it's like shooting fish in a barrel." The unit uses both motorcycles and cars, the cars being used primarily by those working the DUI specialty. However, for safety, at night or on rainy days, they all leave the bikes at home and ride in cars. Our speaker wanted to make it very clear that although those in Motors get both a car and a bike, the cars are the ones that should be rotated out of the fleet. They're not using our tax dollars to provide brand new cars AND motorcycles to the unit. They also use Radar and Lasers; there's a mobile Blood Alcohol Testing van (the BATmobile), and the newest innovation is an electronic ticket writer, where a driver's license can be scanned and all the fields populated by the device. I checked; my license is so old it doesn't have the bar code. And it doesn't expire until 2011. I didn't ask how our system of issuing stickers for renewals affected the deputies trying to do their jobs. Orange County also has funds for a Violent Crime Initiative, where ALL divisions will be working to try to reduce crime, and Motors also takes part. From February 7th to March 31st, they put in 20,151 man hours and made 1375 arrests. However, as one officer put it, "You can't arrest yourself out of this situation," so there will have to be another long-term approach to reducing the crime rate. To get into Motors, there's a two week training school. 60% of the applicants wash out, a lot on the first day, where one of the requirements is righting a tipped over bike. They also spend one full day every month in training exercises. We also got a few anecdotes, like the guy who clipped a deputy's bike in the Sheriff's Office parking lot. He came up to apologize, the deputy asked him to wait while he asked a few questions. The guy ran for his vehicle and ran the deputy down (but he was OK). The guy had 69 prior arrests. Or the deputies who dress in costumes for holidays and do radar/laser traffic patrol. It's all about increasing awareness. I'll be counting down this next week until the release of "What's in a Name?" Pop back here, or on my website for sneak peeks. What I'm writing: Chapter 31. Writing has slowed down. I'm near the end of the book and have to make sure I tie things up. I've been revising the chapters that lead up to 31 after my CPs have had at them. Last night we started with Homeland Security. Our presenter was a Deputy First Class who is with the Community Service section of the Crime Prevention Unit. These aren't the folks who keep an eye on "persons of interest" but rather deal with raising awareness for our own personal safety, teaching citizens how not to become victims. He opened by telling us the the Sheriff's Office provides a home security evaluation service. A trained deputy (they have to take a 120 hour course) will come to you home and check your home for weaknesses: places where someone wanted to break in would have easiest access. I know if someone came to our house, he'd find lots of problems, starting with the landscaping out front that hides our entrance. We also learned how easy it is to break in through a garage door (he said he can do it in 10-15 seconds), and a few ways to make it harder. Other tidbits -- because of the shortage of deputies, most neighborhood patrolling is done by officers going from one call to another. They just don't have time to cruise the streets looking for potential problems. After these basics, he moved into a more global realm and showed a video of 9-11. Those images will never fail to remind us that in reality, we are all vulnerable. He touched on how terrorists operate, how they get their funding (40-70% from narcotics) with more coming from computer crimes. How many of us get those letters from the Nigerians? Another point he made was the difference in mindset. For the most part, we're all loyal to our country. We may be Californians, Floridians, or New Yorkers, but we're Americans. In other parts of the world, they are loyal only to their own tribe. And they've been living war for generations. It's all they know. A parade celebrating suicide bombers is accepted/supported by 76% of the Palestinian population. Groups with terrorist connections in the US train at our shooting ranges, our flight schools (and Florida has a kazillion of those! ), and send their kids to summer camps where they learn the ways of jihad. We saw video shot by undercover ATF and FBI agents. Florida is a destination for terrorists because of the huge tourism industry, because we have a strong international business base, we are a transient community, and our demographics give terrorists the opportunity to blend in. On the other hand, these facts also make it easier for the department to make sure it gets its fair share of government grants allocated for security. Terrorists want to blend in. Around here, that's quite possibly in the Hispanic community. Our speaker showed what the deputies are looking for--things like unkept yards, kids' toys in the yard, but never seeing kids (this is also something used by sexual predators), never seeing the residents of a house (someone's probably going to report our house, because I hardly go out except to the mailbox! ), maybe 5 males live in the house, etc. However, he also made it clear that one has to look for an accumulation of suspicious occurrences. In addition to raising awareness, the department also is in charge of keeping things running during times of "normal" disasters. Here in Florida, that's hurricanes and tornadoes. He gave us tips on readiness, which is something we do hear all the time as the season approaches. Next time: Part 2. Motors. I'll be joining 5 other Florida romance authors at the Barnes & Noble at 7900 W. Sand Lake Road (Venezia Plaza) in Orlando on Saturday, April 14th, from 2-5pm. 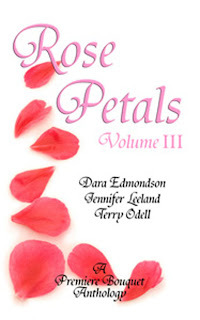 Dara Edmondson and I will be signing copies of our anthology, Rose Petals, Volume III -- steamy stories from the garden. Before I get on with Part Two of our class, a couple more of those other tidbits I learned from the Homicide detective. Body dumping is a misdemeanor. It's a 3rd degree felony to fail to report a crime against a child. Reported cases drop drastically in the summer. Why? Because the kids are out of school, so there's nobody around to notice or report suspicious circumstances. More on that it's not like TV -- the detective has a case from November, 2005 and he's still waiting on the DNA results. It's the most dangerous call and officer can take. The children are the real long-term victims, even if they're not physically abused. The Sheriff's Office has 5 Domestic Violence detectives. In a "good" month, they'll get 35 cases. Over 50 isn't that unusual. 9-10% of all homicides in the county are Domestic Violence related. Abuse is about power and control. The national average: 85-90% of Domestic Violence victims are female. However, this is a skewed statistic, because most male victims won't admit to being abused by a female. Also, those in m/m relationships also are reluctant to report abuse. Most cases are handled first by patrol officers. Detectives may not be assigned until it's a repeat offender. Abused children are 1000 times more likely to abuse as adults. A woman in America is in greater danger of being physically harmed or killed by her partner/former partner than by a stranger or acquaintance. The home is the most dangerous place in the world for the woman. A woman is 9 times more likely to be injured in her home by someone who says "I Love You" than by a stranger on the street. Our local judicial system has instigated a policy where there are now dedicated judges for domestic violence cases. This is likely to help mothers of young children who are deathly afraid of their fathers (who have often tried to kill them) from being forced into visitation with the father because the court requires it. There's a division between the criminal side and the civil side, and getting into the legalities of custody rights even in abusive relationships makes things extremely difficult. The county does have a 'safe house' program. Its location is a well-kept secret. If women and children need to go there, calls are made, and someone picks them up. The sheriffs do not deliver them. If this report seems rather dry, it's because there's no way for me to describe the emotional impact of the slides and video of those who have been victims, especially the children. They're the innocents, and they suffer the most. 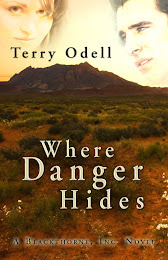 The novel I'm writing touches on a halfway house and victims of domestic violence. I definitely have things to consider when I'm re-writing those scenes. What I'm writing - Chapter 31. Last night our first speaker was a detective from Homicide, a very lively speaker who was obviously very much in love with his job. The department has 1 sergeant, 1 corporal and 10 detectives, plus a field service officer and a crime analyst, who helps with getting out bulletins and making sure the interview transcripts are done, and all the other paperwork sort of details. On any given call, it's likely that the detective and partner plus a supervisor, and the CSI's are all on the scene, which means many eyes and opinions to interpret what's there. The department is responsible for all homicides, suicides, accidental deaths, in custody deaths, and deputy involved shootings. There is now a separate child crime unit for dealing with anything involving children. Again, unlike CSI on tv, the detectives are in charge of the case. The lead is responsible for everything, no matter who might have dropped the ball. Too many times, the detective "knows" who committed the crime, but can't prove it. The CSI's are integral in collecting the evidence that can back up the case, but they don't interact with the suspects. They gather the evidence and take it to the lab. The hard ones are the "who done it's" such as random drive-by shootings where there are no witnesses, or none will step forward. On the scene, which is usually dealt with by a uniformed patrol officer, the first order is the officer's safety. Once the scene is clear, preservation of life is next. This means that even if a deputy is involved in the shooting, he still tries to keep the victim alive. Next is preservation of the crime scene and notification of the detectives and CSIs. The crime scene belongs to the detective; the body belongs to the Medical Examiner and can't be touched until the ME has been there. We learned about rigor, lividity and using insects to determine time of death. Suicides are also investigated as homicides, although a scene will be handled by 1 detective and 1 CSI. These cases usually get the most complaints from family, because they don't want to believe a loved one committed suicide. The detectives handle suicides as thoroughly as homicides. There were over 200 suicides last year. We got to see photos of crime/accident scenes and tried to determine what had happened. We also watched a video of two teams passing a basketball. Our instructions were to concentrate only the the team in the white shirts, and to count every time the ball hit the floor or was passed to another person, and to ignore the black shirted team, which was there to distract us. Of course, all but two people in the class totally missed the guy in the gorilla costume who walked right across the court. Overall, the department has a 60% clearance rate, which they are proud of. No case, however, is ever closed, and they may have cases on their desks for 10 years, always looking for another lead. These are the ones that the detectives live with, that come back and stay in their heads. Most of their leads come from the local anonymous Crime Line phone number. The $5,000 reward helps, too! He also pointed out some "general" statistics, such as the majority of their cases are drug related. Before he left, he showed pictures of crimes against children. I don't even want to discuss what horrific things people will do these innocents. Next time - part two of the class: Domestic Violence. What I'm reading: Sunstroke by Jesse Kellerman; Cards Don't Lie by Heather Hiestand. I was disappointed by an agent rejection on Saturday, but it was a "good" rejection letter because it offered suggestions for improvement and the agent even did a line edit of the first chapter. Good writing, but too close to another of her client's work. "I was hooked. I couldn’t wait to see how it would turn out. 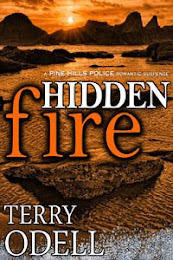 Terry Odell outdid herself; It was a wild and suspenseful ride, the ending had me riveted, and Terry Odell kept me guessing until the end. I really came to care about these characters." "I spent all last night reading FINDING SARAH. I couldn't walk away from the story. Thank you, Terry Odell, for an extremely tired Thursday. 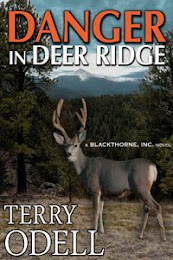 Thank you, Terry Odell, for a fantastic Wednesday night of pure reading enjoyment. 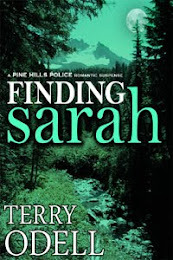 FINDING SARAH is a smooth cannot-put-down read. The characters are fresh and likeable." Tonight's Civilian Police Academy class is Homicide, Domestic Violence and Child Abuse -- should be interesting, although maybe on the depressing side. Check back; I'll be posting what I learned.